Having years of experience taking care of dogs, I know how to cater to their needs, keep them active and happy… and let them be themselves. 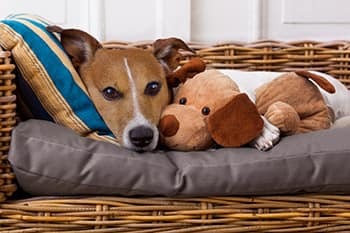 Based in rural Speldhurst, near Tunbridge Wells, the Doggy Day Care service I provide is for owners who work full or part time or, for whatever reason, can’t always look after their pets during the day. This can be on a regular or as-and-when basis. I take a maximum of three dogs per day for Doggy Day Care. This means that I have the time to give them the individual attention they need and deserve. You are free to bring with you any toys, bedding, treats, meals (breakfast, lunch and/or supper) or any other items (including any medication) that will make your dog feel at home and ensure their normal daily routine is maintained. Dogs who come for Day Care are taken for two walks a day and have plenty of space in my large, secure garden to run around, interact and play with one another away from busy roads and passing cars. With miles of countryside and woodland walks on our doorstep, we really are in the perfect location. My personal approach means that I will feed back to you face-to-face, by text or email during or at the end of the day, anything I feel it is important for you to know about how your dog has been, or just what a great time they have had. This means that you can be part of your dog's day even when you are away from them. I am happy to collect and drop off dogs from across the west Tunbridge Wells area and villages, if that is most convenient for you. However, depending on the distance, this may mean a small extra charge. I will of course accept dogs for Day Care from further afield if you are willing to drop them off. Doggy Day Care is available from 8am to 5pm and later by arrangement. Short or half days are no problem. I will always try to accommodate your timings and any unforeseen problems. If you are looking for Doggy Day Care in a safe and caring environment in the beautiful Tunbridge Wells countryside, then please give me a call on 01892 862738 or get in touch via my contact form. I will be happy to discuss your requirements and arrange a suitable time to visit you and your dog. 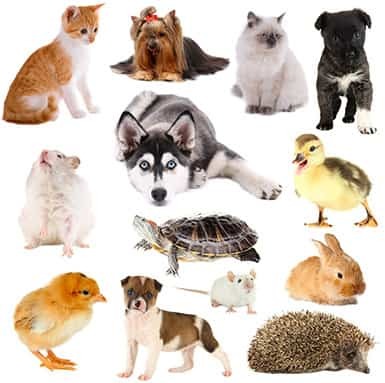 Not only do I provide a bespoke service for dogs, but I will also care for cats and other small animals on request, visiting your home once or twice a day according to your requirements to make sure that your furry or feathered friends are well looked after. As with my Dog Walking and Doggy Day Care, I will accommodate your and your pet's specific needs. 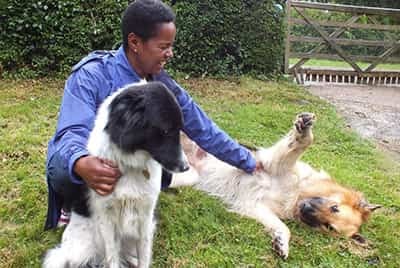 I am also available to visit rescue dogs when their owners can’t be at home during the day, giving them individual attention and helping settle them into family life and their new environment. 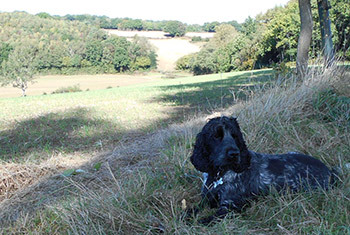 Based in Speldhurst, near Tunbridge Wells, I provide Doggy Day Car and Cat and Small Animal services to pet owners in and around Rusthall, Langton Green, Poundsbridge, Bidborough, Penshurst, Fordcombe, Ashurst, Groombridge, Chiddingstone, Cowden, Blackham and Hartfield. To find out about my charges for Dog Walking, Doggy Day Care, Home Boarding or my Cat and Small Animal service, please see my price list. "Angela has been incredible. She has been apart of Meeko's life from early on, taking her for day care twice a week. She has been so flexible and understanding when our situation has changed; so accommodating to our needs as well as the pup. Being first-time dog parents, Angela has also been an invaluable source of knowledge for us - even more so now we are expecting our first human baby. We know Meeko loves her time with Angela - she goes crazy every time she is at the door and is always a very happy puppy after her day out. Love it!" "Angela has been looking after Luna for us twice a week on a weekly basis since September 2016. Luna absolutely loves his days out, especially the variety of walks and other dogs that he gets to play with. He always comes home happy and exhausted, so we know that he's had a great time whilst we're at work!"